If you are like many other researchers we work with, you may often need to share large files with your colleagues here at UCSD or with collaborators at other institutions. Email applications can be prohibitive and restrict attachments to a certain size, and other Internet applications and services have size limits and often fees attached, not to mention slow upload/download times. What to do?? UCSD’s Library has a solution for you – The RDL-share service is designed for exactly this purpose! With RDL-share UCSD users can send or request files up to 500GB each in size, and the on-campus network facilitates speed. No special account setup is necessary to get started – simply log in to the application with your SSO or AD credentials and begin using immediately! 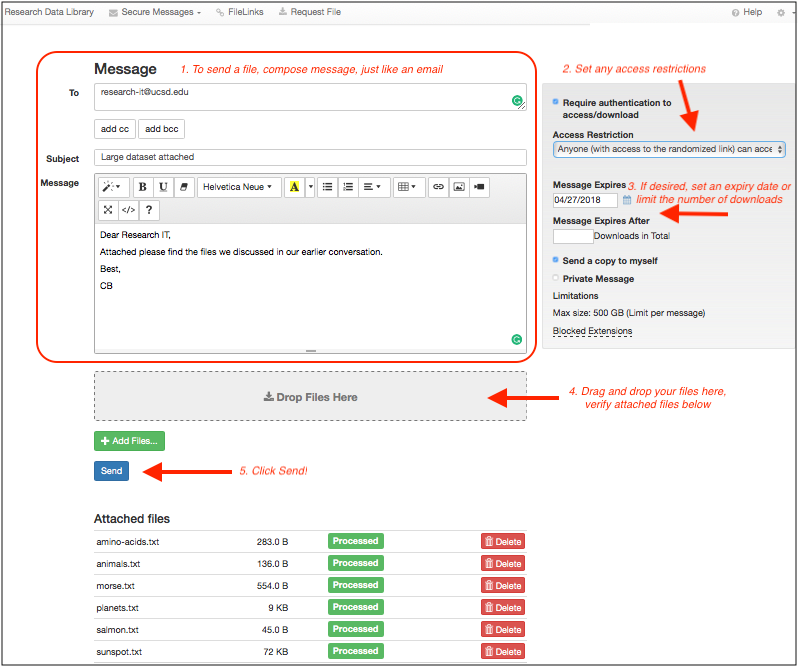 The easy-to-use email-like interface allows you to compose a message, set an expiration date (files/messages you send will become unavailable and deleted from the system), drag and drop files, and restrict access to only specified individuals if desired. 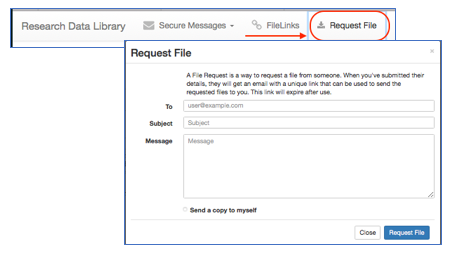 All files are encrypted in-transit, adding an extra layer of security to the service.